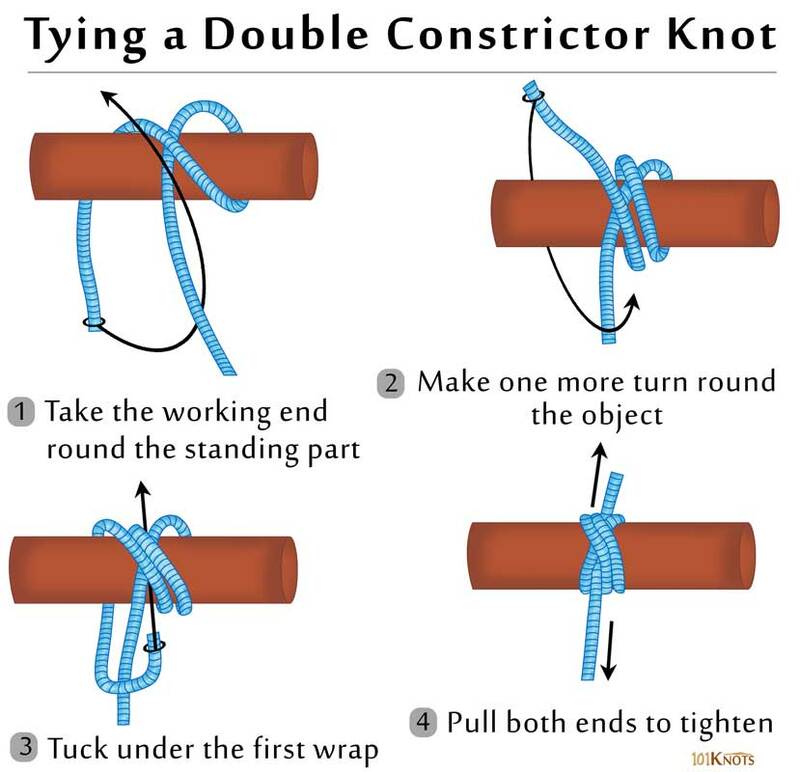 A stronger variation of the constrictor knot, the double constrictor knot comprises of an extra riding turn on top of the basic knot. It is the most secure simple hitch till date. Need emergency repairs on a line? 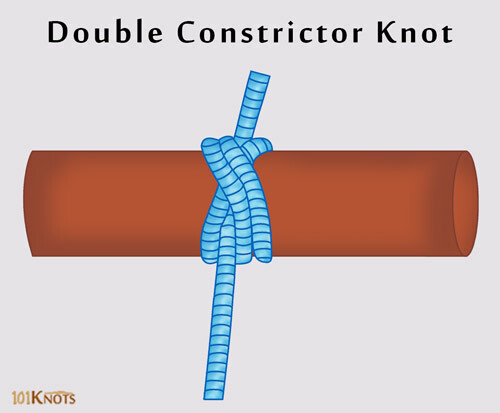 Use the double constrictor knot to stop any unraveling before a permanent repair can be made. It may require careful dressing to distribute the tension all over the knot. If you want an easy-to-untie version, try out the slipped constrictor knot. It finds use in tying extremely slippery twine, more so if it is waxed. It is powerful enough to crush fragile objects.